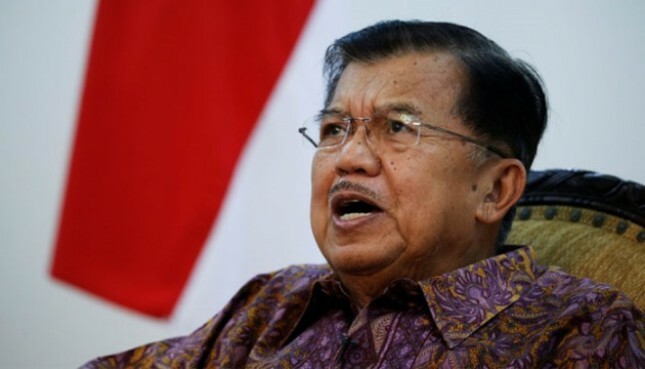 INDUSTRY.co.id - Jakarta - Vice President Jusuf Kalla said the spirit is the main capital of merchants to achieve success in trading. On the occasion, the Vice President reminded all the merchants present to empower this annual meeting not just get together, but can create synergy and share experiences so that network, spirit and synergy are maintained. Previously, Chairman of the Central Board of Family Harmony Central Sulawesi (BPP KKSS) HM Satar Tabba reported that the implementation of PSBM this time is different from the previous ones. This is not because of the full support of Vice President Jusuf Kalla and Pj South Sulawesi Governor Soni Sumarsono on the implementation of PSBM. HM Satar Tabba also reported that on the mandate of the decision of the emergency meeting last night with KKSS officials, appointed Pj South Sulawesi Governor Soni Sumarsono to become an extraordinary member of KKSS and set Soni Sumarsono as a member of KKSS's board of trustees. The appointment of this board member is marked by the use of songkok to Soni Sumarsono. Activities PSBM to XVIII this time the theme Bersinergi for the Country, which was attended by 1,500 merchants from within and abroad. In this meeting was given "live time achievement award" to the initiators of the PSBM, namely HM Jusuf Kalla, HM Aksa Mahmud, and HM Alwi Hamu.